Finance Ideas 4u: No new Finance post due to net connectivity problem. 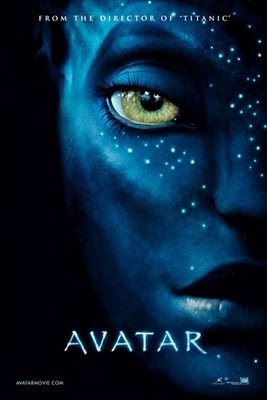 So, go and watch Avatar. No new Finance post due to net connectivity problem. So, go and watch Avatar. Hello Friends, I hope you have enjoyed your Christmas. Me too have enjoyed my Christmas but one problem is here my net connect has gone suddenly. I don’t know what the reason is? I have complained to the concern place regarding this matter. Due to holiday I didn’t get any response from them. Let’s see how long I need to wait. I have written one interesting financial post for my visitors which may help them to take any further financial decision but the reason I have already told you. And today I have decided that when I will get back my net connection I will share my this problem with you. Now something related to Christmas Eve. I have seen Avatar on 25th December & for that reason I need to spend huge amount which is beyond my budget. But when I have visited the theatre I was spell bound that what type of movie it is. So, regarding this movie I must say that this is not the movie to seen this is the movie to experienced. I felt that everything was going on in front of me. So, I must say that you need to watch the movie in a 3D hall. Now come back again to the finance world & make your financial resolution for the upcoming New Year. Finally wishing you all a very Happy New year in Advance & all the best for 2010. Why no new finance post? Avatar is good but we are interested in Finance Ideas 4 you.